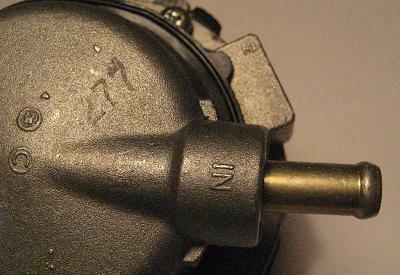 Ford fuel pumps are identified by basic part number 9350. 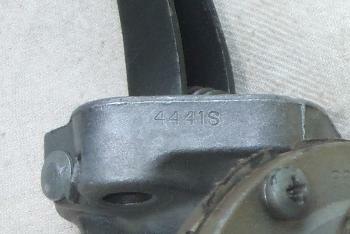 428 CJs and SCJs were originally equipped with a mechanical fuel pump made by Carter with a service part number of C7AZ-9350-A. The pump is driven by an oblong "eccentric" that mounts to the front of the cam. As the eccentric rotates, it pushes the lever on the fuel pump up and down, which in turn moves an internal diaphragm up and down, which creates a vacuum that draws fuel from the fuel tank into the pump and up to the carburetor. 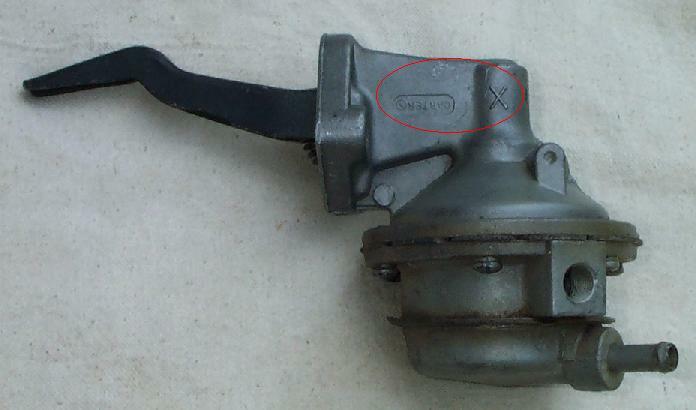 "The "X" on a Carter fuel pump reveals little about that unit. For 1963 production, certain pumps were re-engineered for "high-rev" applications. This included a modest re-tooling of their generic, cast housing. 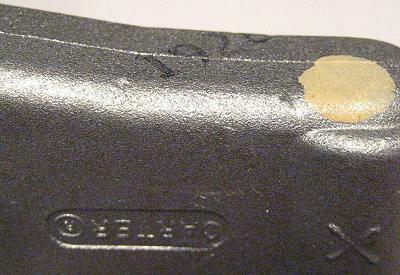 For ease of identification, the improved parts were cast with that big "X". 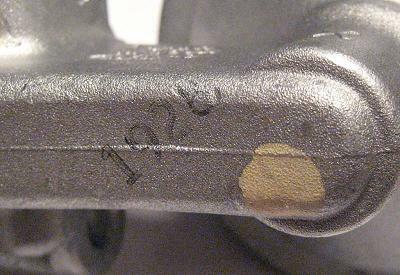 But by '65 those parts were used in most Ford pumps, rendering the "X" almost meaningless." 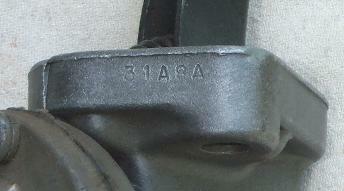 Next, look at the edge of the mounting flange that comes closest to the engine block. Along the edge you should see both a casting number (4441S) and a date code. The date codes should be read as "Day Month Year", such that the code above (31A8) translates to January 31, 1968. The trailing letter (an "A" in this case) is most likely a shift indicator. Here are some pictures of the ink stamps and paint marks found on a new service replacement pump, courtesy of Scott Grant. Many vendors sell a rebuild kit that includes all of the parts needed to make the pump work like new. Armed with some simple hand tools and a little bit of patience to note how things are assembled before you take it all apart, almost anyone can rebuild one of these pumps. Checkout this "how to" article for rebuild instructions. Ford's original fuel pump repair kit for this pump was serviced using part number C7AZ-9349-A.